excuse me for blowing my own trumpet but I KNEW this was gonna happen, honest! 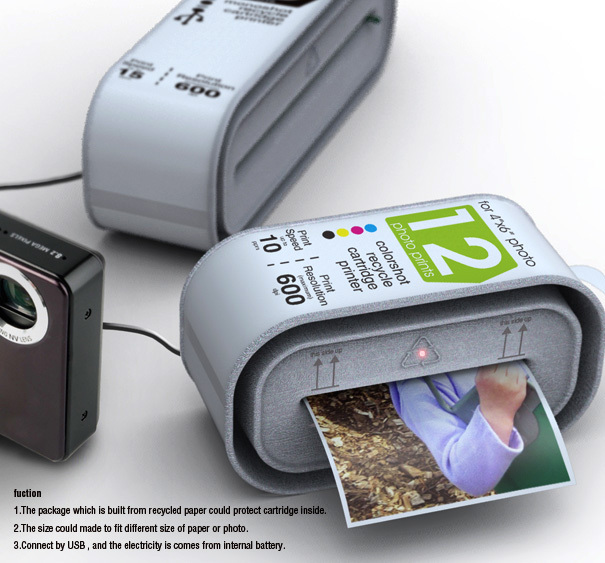 The Instant Cartridge Printer is an awesome idea modeled on the lines of how disposable cameras are dispensed. The plan is to buy a cartridge printer off the shelf, according to the paper size you plan on using. 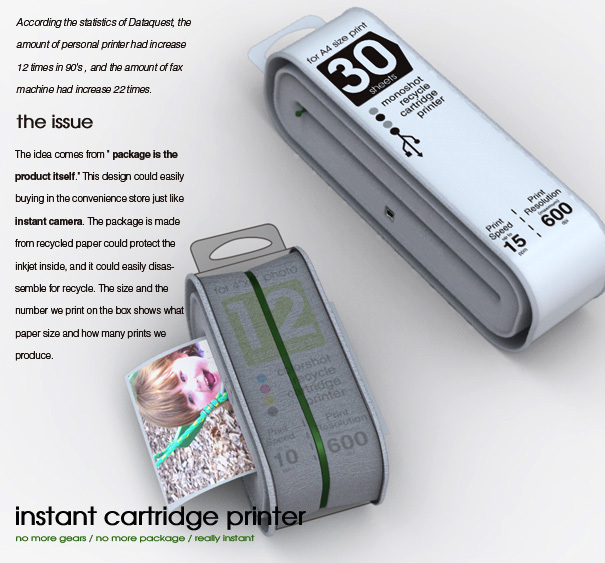 Related info like print speed, print resolution and color is provided on the packaging itself. The designers try and bring in an eco-angle by using recyclable paper for the milk-box packaging and recyclable parts. However the printer is powered by an internal battery & hooks to the device and comp via USB. 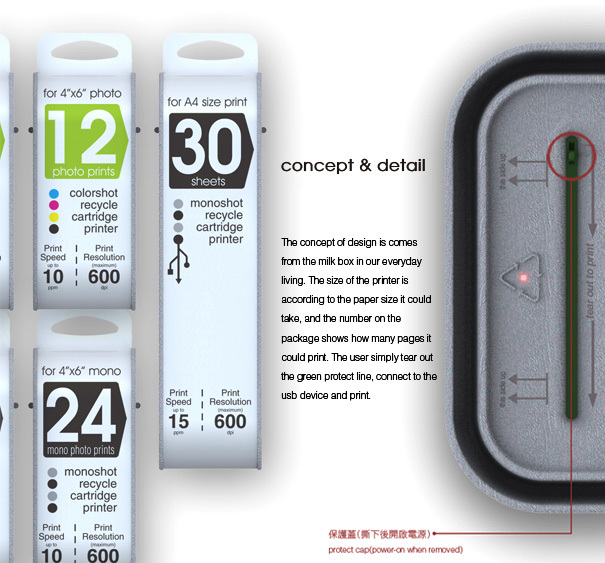 Although the concept is pretty neat I doubt it would be practical for people like me who go through printer cartridges faster than ballpen refills!